Structures: Designing and understanding how a structure the the size of four football pitches responds to its environment whilst it supports the motion of thousands of devices that rely on precise positioning systems. Ocado’s value system is based on four simple yet very powerful principles. Here’s how we apply them in Ocado Engineering to build a culture that is both innovative and inclusive. We're in it together – we believe teamwork and collaboration are essential to creating the best solutions. We value those who are happy to listen, to share knowledge, and to pitch in when support is needed. Value each person – every employee has something valuable to contribute. This means it’s not just important to listen to their experience, but also to what makes them happy and productive each day. Love what we do – there’s no such thing as resting on your laurels at Ocado Engineering. Our work is driven by the need to constantly innovate, so our engineers need to love the challenges that are thrown their way. We can be even better – because our whole business is built on being ahead of our competitors, from the services we offer to the cutting-edge ways we deliver them, self-improvement is not just encouraged, it’s vital. Ocado is a fast growing business underpinned by an ever-changing and dynamic engineering division called Ocado Engineering. Graduates on our 18 month Engineering or Engineering Operations programs will support the delivery of projects across a wide range of areas including Product Development, Automation Engineering, Buildings Technology and Engineering Operations. Graduates will deliver work of real value from day one and play a crucial role in Ocado Engineering. With continued support, graduates will spend 18 months refining skills, gaining valuable experience and learning where their capabilities, passion and ambitions lie. Hear from one of our current Graduate Engineers! After graduating with a Masters in Chemical Engineering, I wanted to work for a company whose achievements stand out amongst its competitors. Ocado’s ability to disrupt with its futuristic automated solutions provided the perfect opportunity for me to remain at the forefront of technology, whilst being part of a program that gives me real responsibility right from the word go. As part of my first placement on the Engineering Operations Graduate program, I was enrolled on a short training program helping me gain the required electromechanical competencies. This enabled me to understand and appreciate the work engineers and technicians undertake. The scheme also promotes learning through hands on project ownership; I am now leading Process Improvement projects, which includes everything from developing new ideas through to implementation. The immense support provided by my managers has helped me manage the change and assist in administering a lean culture. My efforts have added value to the company’s technical operations and I look forward to continuing my work with them. As a recent graduate of Electronic Engineering (MEng), I was attracted to the Engineering Operations scheme because it gives you a real insight into Ocado’s innovative engineering solutions and a chance to gain hands-on experience. After joining, I have simply been amazed by Ocado; the company never stands still! 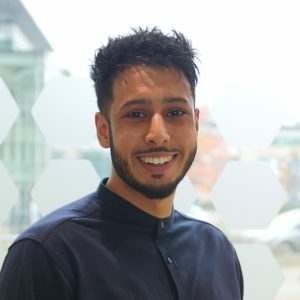 So far, I have had two placements which gave me valuable experience and allowed me to develop the skills I gained at university, whilst ensuring I had a solid understanding of how the whole operation comes together. This knowledge is invaluable as I now have the responsibility to lead a project that could have an impact on the whole business. The help and support I have been given has been truly astounding. Ocado Engineering really makes you feel welcome and people are always willing to help you. Engineering: Put your university engineering degree to use to support the delivery of projects across our ever-changing and dynamic engineering world. In this role you will experience a wide range of areas including design, Automation Engineering and Buildings Technology. Engineering Operations: Develop your knowledge and interest in Engineering Operations by being one of the first graduates to work hands-on with our newly installed, Ocado-own, automated solutions. Learn more about all our teams by clicking here. If your skills match what we’re looking for and we think you’d be a good fit for Ocado Engineering, we’ll invite you to complete two online tests - a numerical test and an Ocado personality fit test. If this goes well, we’ll invite you to a telephone interview which will be a mixture of competency and personality based questions. For the final stage we will ask you to an assessment centre where we will explore your technical knowledge and you will be interviewed by key engineering people. This day will also allow you to find out more about the programme and see if it is the right fit for you! Do you think you have what it takes to be an Ocado Engineer?